This topic contains 4 replies, has 3 voices, and was last updated by caRpetbomBer 1 week, 4 days ago. 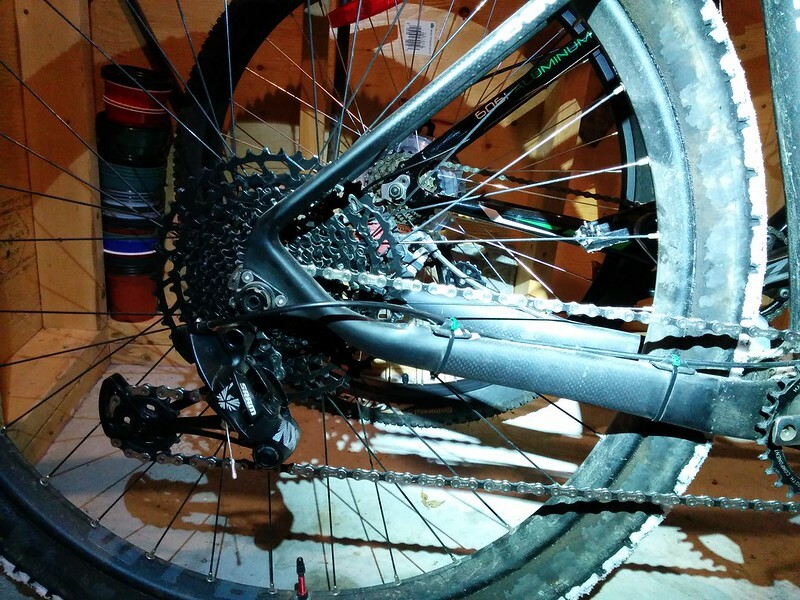 Trying to figure out a slight problem I’m having with a Sram NX eagle install. I have some chain noise in the lower gears. Shifting through the hole cassette is butter smooth. B tension is good. Chain length looks good here are some pics. The rear hub is a bikehubstore M270 which has been great for a low end mountain bike hub. Waiting for the steel free hub body to come in stock also changing the aluminum axle to a steel version and new bearings. well i don’t think the hub is the problem. Any help much appreciated. Chainline is a good start for sure. Are you using the SRAM chainring? If not, does your ring have the correct offset? What cranks? The chain length looks ok, could perhaps lose a link yet. Unless this is a dually, where you need to account for dynamic ride position vs static. B-tension is clutch on the 12 speed stuff and every turn to adjust it affects position and cable tension as well. I find the upper limit needs to be adjusted in tandem with b-tension. 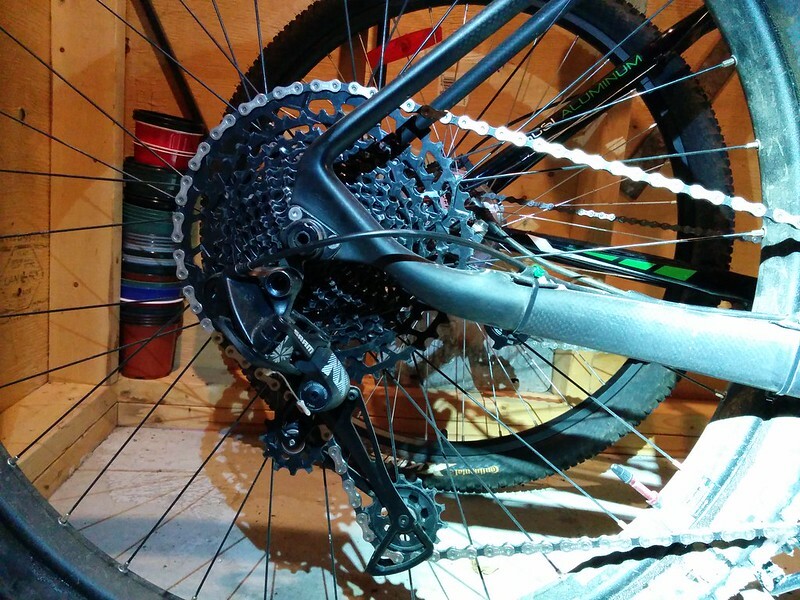 The cranks are some old 960 XTR running a wolf tooth NW chain ring. Ill measure the chain line to see. With a 142mm rear end you need a 49mm chain line. With boost 148mm you need a 51mm chainline. Thanks for the suggestions. The issue has gone away. Seems like it only needed some time to break in.